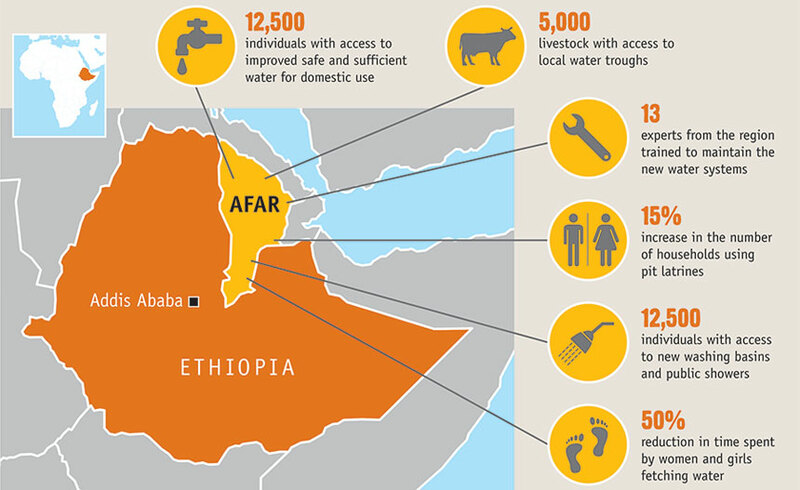 CARE started working in Ethiopia in 1984 in response to severe drought and famine. 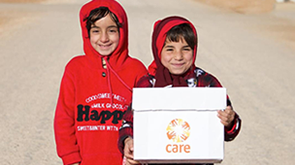 Although we still carry out emergency food relief, the main focus of our work has shifted towards addressing the root causes of poverty and vulnerability through longer-term rehabilitation and development. This includes governance, water and sanitation, education and being prepared for future emergencies. Our programmes particularly support women and girls in rural and urban areas. We work to combat child marriage and support children and women affected by HIV and AIDS. Through vocational training and access to savings and loans, we help people earn a decent living. From March-June 2016, donations by CARE supporters to the Help Her Live, Learn and Earn campaign were doubled by the UK government – with the extra funds going directly to a water, sanitation and women’s rights project that aims to reduce the extreme vulnerability of very poor and marginalised people in the Afar region of Ethiopia. In Addis Ababa, CARE is reducing the number of children who are infected with HIV at birth by raising awareness about HIV and AIDS and how it can be prevented among women of childbearing age. We combine awareness-raising activities, such as community-led education campaigns and school clubs, with voluntary counselling and testing services, where tests are carried out for a fraction of the cost of private testing. In addition, we work in partnership with local community groups to provide support and care to those most affected by HIV and AIDS such as the elderly, bed-ridden patients and orphans. Almaz has seen her life torn apart by conflict in Ethiopia. This is her story, in her own words.